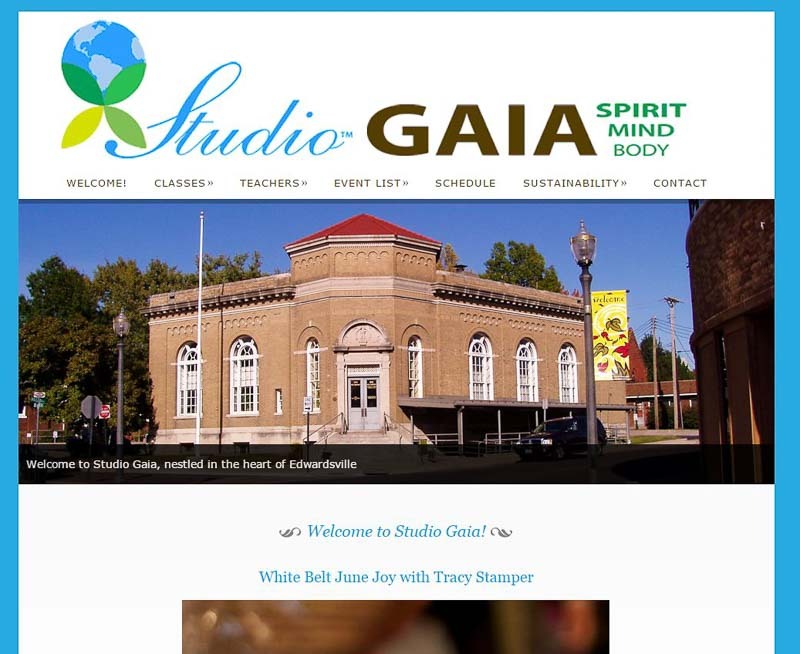 The Studio Gaia website was a rebrand for the former Edwardsville Fitness Studio, owned by Sally Burgess. As a very active neighborhood and community-wide destination for Nia and yoga, Sally was ready for a site that had both beauty and the functionality to accommodate the additional programs she had planned. With a new logo by a graphic designer, the logo content was repurposed in different layouts to fit the website and the Studio Gaia Facebook page. We brought over much of the existing text content and then added new pages for each instructor and each modality. A photo shoot of the studio and the instructors, as well as Nia classes provided imagery for the site, marketing pieces, and a cover for Yoga & Spa Magazine. A style was created for the Event posts as well as the instructor pages. A new calendar was created on Google calendar so it could be more easily maintained and shared.